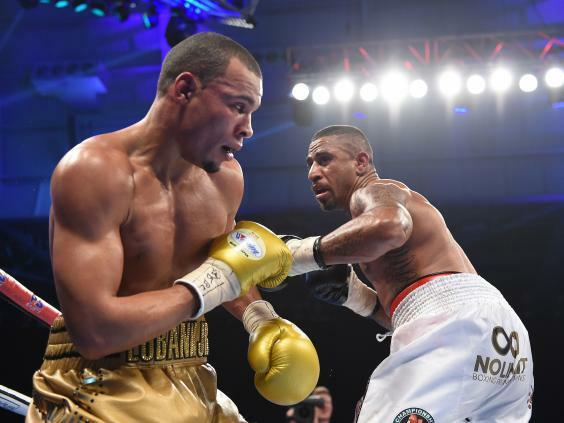 Chris Eubank Jr is gunning for the big boys after he strolled to a 10th round stoppage of Renold Quinlan on Saturday night to win the IBO super-middleweight championship. 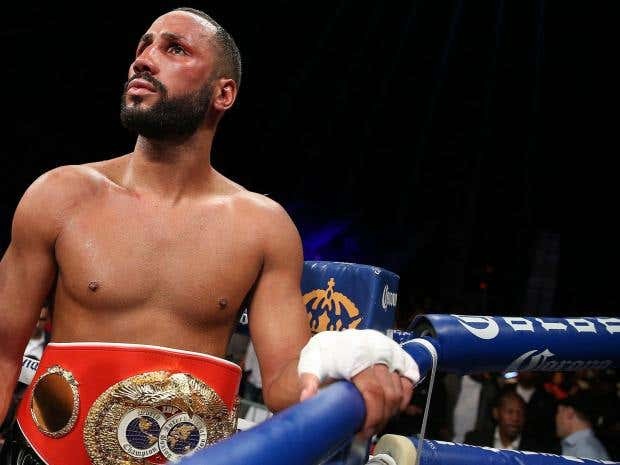 One of those big boys, James DeGale, the IBF world super-middleweight champion, has seemingly been handpicked by Eubank Sr as his son’s next opponent who he has claimed he has made an offer to. After DeGale’s unification clash with Badou Jack for the WBC and IBF crowns, in which he lost his two front teeth, Eubank Jr immediately tweeted after the contest: “DeGale, I’m coming for the rest of those teeth”. He reiterated his unhealthy desire to take the rest of DeGale’s teeth again after his win over Quinlan, too. Where next for Eubank Jr after his Quinlan demolition? Many felt aggrieved at Jr’s comments after the 31-year-old and his Swedish-American opponent, Jack, battled it out and put on a show in their war-like draw. But these sort of untimely bold statements over social media from Eubank Jr are not uncommon; it’s just part of the package. The 27-year-old is very much the marmite of boxing, partly down to his demeanour, partly down to his father and partly down to tweets such as this. IBF champ DeGale, knows all too well what it’s like to feel unloved and struggled for years to gain the British fanbase he craved after striking Gold at the Beijing Olympics in 2008. You could say DeGale in his early days in the pro ranks had a similar demeanour to that of Jr’s and perhaps this was why his reputation preceded him. A reputation that in the end fuelled his journey out to America – where he reinvented himself and got a new alias, ‘The Road Warrior’. When ‘The Road Warrior’ went to America to fight Andre Dirrell in May 2015, it wasn’t just the world title he won that night. He was always destined to reach the heights of world boxing and when his hand was raised against Dirrell a new mature DeGale was unearthed. His dream was accomplished and now he didn’t need to do the talking – he was the first ever British boxer to win a Gold Medal and win a professional world title – his boxing had done it for him. DeGale has had three fights since that triumphant night, one in Canada against former Carl Froch victim, Lucian Bute and two in America. 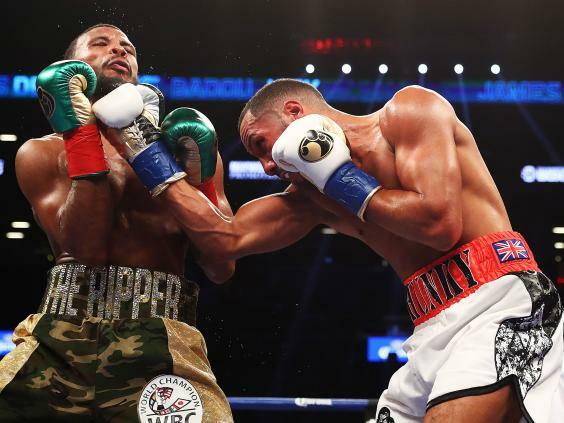 Being able to fight and win on the road is an invaluable trait to have – one that DeGale has firmly hung up in his locker. Jr, on the other hand, has only fought on foreign soil once, early on his career in Denmark. But perhaps something more significant is that Eubank’s win on Saturday made it evidently clear that he lacks power. In the end the accumulative punches absorbed by his opponent took its toll but not before a heavy workout from Eubank. It’s certainly a notion not many would disagree with and Quinlan himself furthered that case by confirming after the fight: “He had no power”. Though there is no arguing with or denying Sr’s constant declarations – that his son is talented and is one of the best combination puncher’s around, there is a case to argue his son is not the finished article. He looked raw against Quinlan, very similar to the Degale that narrowly lost to George Groves back in 2011. Against the likes of Quinlan, Jr could get away with it and did, but against DeGale in this moment in time only the very best Eubank Jr would win, a version that seems someway off yet. Perhaps, we would see a smarter performance from Eubank Jr if he were to share a ring with DeGale and that would help him in this particular fight but there’s a significant factor that would cause an imbalance to this contest. A factor that Jr couldn’t scupper anytime soon, too. DeGale has a wealth of experience and has gone the full 12 rounds in nine of his 25 fights. In Eubank’s 25 fights he has only gone 12 rounds once, against current WBO middleweight world champion Billy Joe Saunders in which he lost. DeGale also has serious pedigree with 95 amateur fights under his belt in which he picked up an Olympic Gold Medal and a runner-up medal at the Amateur World Championships in the process. Before turning to the professional ranks Eubank Jr only had 26 amateur fights which makes him seem like a ham-fisted novice in comparison. He’s not, though. He is a fine talent and a star in the making but he needs a bit more time to nurture. He is a seriously precise combination puncher, who really has every shot in the book but it just wouldn’t be enough to beat DeGale. What must be remembered is that Jr is a middleweight. He’s only just come up to the 168lb division; DeGale has been one his whole professional career. He is tried and tested at this weight and has faced some huge super-middleweights. Jack’s move up to light-heavyweight is testament to that. Anything Jr throws is not going to outweigh what DeGale has already tasted. It only takes one look at the IBF titlist’s record to see he is proven at world level, whilst Jr’s bares a list of mediocrities. He hasn’t really been involved in a fight; the fact Saturday night’s mismatch marked his highest accolade to date in professional boxing proves that. Facing James DeGale would be a step into the unknown for Jr. Despite Jr holding a version of the world title, it would be hard to justify his version is of equal value to DeGale’s IBF. The 31-year-old won his on the road against a smooth operator. The belt Jr possesses often faces pejorative slams and his predecessor, as we all saw Saturday night, wasn’t representative of world level boxing. Eubank will undoubtedly reach the pinnacle of boxing in the near future, but in the super-middleweight division of today it’s DeGale who is on top of the pedestal and Jr isn’t quite ready to knock him off yet.